Parks Canada - Waterton Lakes National Park is open to visitors. When planning a trip, we ask visitors to remember that the Kenow Wildfire of 2017 has impacted the park in a number of ways. There are many recreation opportunities for visitors to experience in Waterton Lakes National Park, however, some areas remain closed as a result of hazards. For a full list of what is available and information on recreational opportunities, we encourage visitors to check www.parkscanada.ca/waterton-open for up-to-date information. Parks Canada is well-prepared to welcome as many visitors as safely possible to Waterton Lakes National Park. Since some areas of the park are closed this year, space for visitors and vehicles is reduced. The park may reach capacity sooner. With nice weather in the forecast for the Victoria Day holiday, Waterton is sure to be a popular location this weekend. Visitors should expect the park to be extremely busy at peak times. 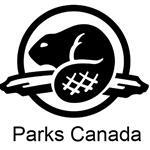 Visitor and wildlife safety is a top priority for Parks Canada. Planning ahead will help provide the best and safest experience. Campers can reserve a site at the Townsite Campground ahead of time using our Reservation Service. The Belly River Campground is a first-come, first-serve campground that will fill up very quickly. During peak times, parking will be at or close to capacity throughout the park. Expect traffic delays at the Entrance Gate and Entrance Road, in the townsite, at the base of the Red Rock Parkway and at popular day use areas. We ask visitors to be patient and to follow all instructions from traffic personnel. We have a traffic management plan in place that includes real-time modelling of inbound and outbound traffic which is analyzed against past years’ data, on-the-ground observations and recent visitation trends. This will allow us to provide our visitors with the most up-to-date information on our social media channels (Facebook and Twitter),website and Alberta 511. Parks Canada wants to ensure the best possible experience for visitors coming to Waterton Lakes National Park. Before you travel, plan ahead by consulting our website and reserving accommodations. Consider travelling mid-week, early or late in the day or during the shoulder seasons for a less-busy experience. We encourage visitors to order their passes ahead of time and to pick them up from third party retailers before travelling to the park.